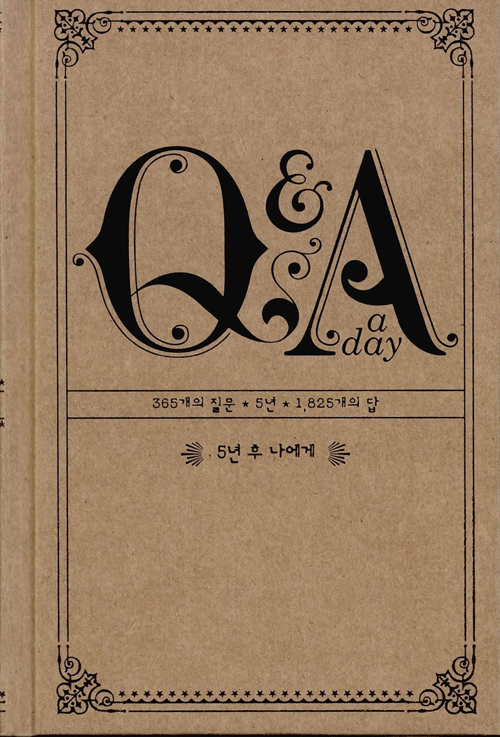 Q&A a day was published in 2010 in USA and took over the diary book market of the world, and it is finally available to Korean readers. The book is different from the everyday diaries. This book contains 365 wise, innovative questions that are to be answered one per day. These 365 questions are the reasons why millions of readers chose this book. There are philosophical questions as well as humorous questions, and if you answer the questions day by day, you�ll have the chance to record the brightest days of your life that you might have just let pass.